Perhaps the most widely-read piece of modern Japanese literature, Soseki Natsume had big things on his mind with Botchan: A society caught between modernist impulses and traditional culture, the sometimes irreconcilable divide between urban and rural life, sincerity and pretension. It is the story of a brash, big city Tokyoite who leaves for the "uncivilized" countryside on a teaching post. 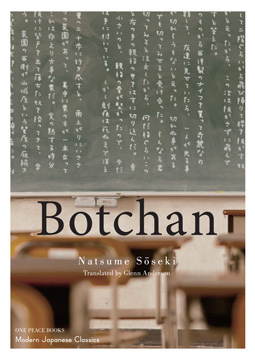 Like its protagonist, Botchan is a gem of unembellished refinement: down-to-earth, multifaceted, and laugh-out-loud funny. Soseki Natsume (1867-1916) is widely considered the foremost writer of modern Japan. Well versed in world literature, Natsume spent years studying in London before returning to Japan to establish his own literary career with classics such as I Am a Cat, Botchan, and Kokoro. Now a national treasure, his innovation and style continue to exert influence on generation after generation of modern Japanese writers.